From CityLab -- A friend of mine heads an office in the White House. I never see him anymore, except at the occasional black tie design dinner, where he is always good for a couple of gin and tonics as the crowd disperses. At the last such event, he asked me a question. Or maybe he didn't. But I answered it. "What's the number one most important thing that we have to fight for?" I said. "You mean, besides corporations being people and money being speech?" 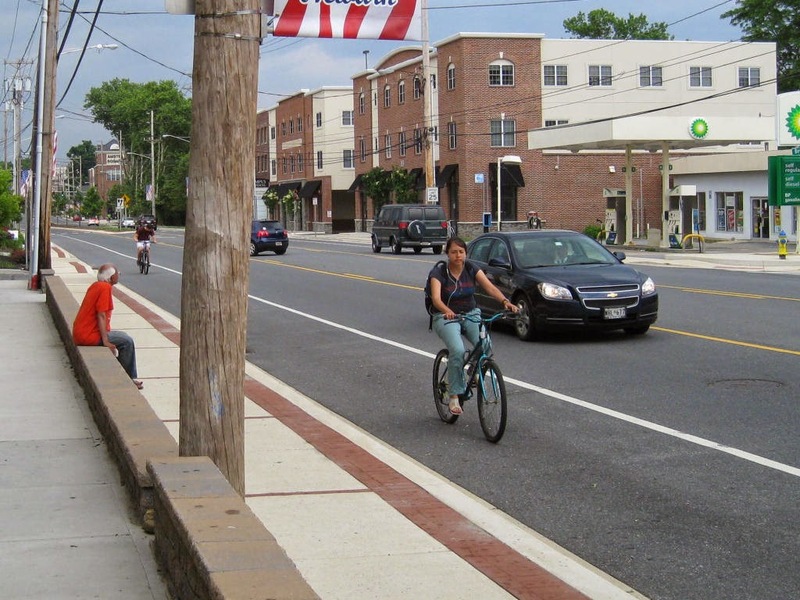 "Well that's easy: 10-foot lanes instead of 12-foot lanes." 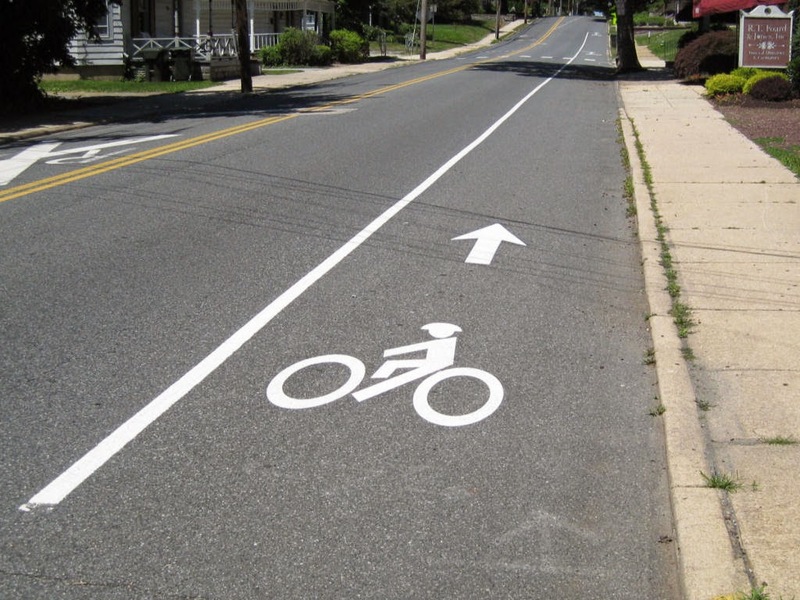 Above: West Main Street in Newark with a recently installed bike lane, as part of the Newark Bicycle Plan. The traffic lanes remain at 12' wide. The new South Main Street bike lanes are a welcome addition to Newark, but here too, the traffic lanes remain at 12' wide. This becomes especially troublesome north of Apple Road, where the bike lane is marginalized along the curb as 4 lanes narrows to 2 (one in each direction). Poster's note: The primary excuse for 12' traffic lanes in Delaware is the need to accommodate DART buses. Therefore, at least along transit routes, there will be 12' lanes. I added a comment below the article, raising this issue, because nowhere in the article was it mentioned.